What we would give to be at the HBO offices this morn! The TV network straight-up dominated the Emmy noms with a mind-blowing total of 81 honors. Any guesses as to how many bottles of champers the folks behind Boardwalk Empire and Game of Thrones, as well as newbies like Girls and Veep, will go through before noon? The peeps at Mad Men and American Horror Story also have plenty of reasons to celebrate — make that 17 each to be exact: Both series raked in the most shout-outs for a single program. 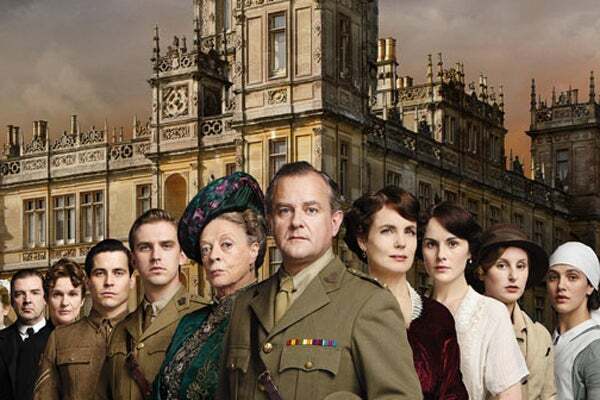 And close behind at 16 noms are Downton Abbey and Hatfields & McCoys, both period dramas that are must-adds to the TiVo queue (that's assuming you haven't done so already!). Another honorable mention? Youngster Lena Dunham, just 26 years old, garnered three personal nods for starring in Girls, as well as writing and directing. Big props! Hosted by Jimmy Kimmel live on Sunday, September 23 on ABC, the ceremony is sure to be one for the books. And what are we looking forward to the most, other than the wardrobe choices? Anything attendee Betty White has up her sleeve, natch!